Sarah Jaffe posts about the possibility of doing a weekly webcomic column on Newsarama. I say go for it! The Village Voice has a piece about webcomics that features Achewood, Bodyworld and Templar, Arizona. CBR has a chat with Jamaica Dyer, creator of Wierd Fishes. This Week in Webcomics has a three part list of his favorite webcomics. MadScott pointed out this handy comic tools blog over on Twitter. The Floating Lightbulb has an interesting post about the search engine Mooter. Webcomics Inc has a flash hangman game where you guess the titles of webcomics. FLEEN talks about Sam Jain, and eFront. Brigid Alverson reports that TokyoPop is reviving their manga pilot program. Creator the Marvelous Patric announces that Freaks N Squeeks returns with all new comics over on ComixTalk. Zuda Fan has an interview with creator Spencer Platt. The School Library Journal has an interview with Sarah Ellerton, creator of Inverloch. Check out the Webcomic Holiday Postcard Fundraiser. iFanboy has a post about webcomics. Spike posts about Zuda contracts over at PopCultureShock.com. Webcomics.com has a tutorial about creating word balloons in Photoshop. Quitting Time, my webcomic, has teamed up with FoolishGadgets.com to bring you Products That Never Made It. What do you think about Webcomicsworld.com? The Floating Lightbulb doesn’t hold back as usual. Here is some more reaction. 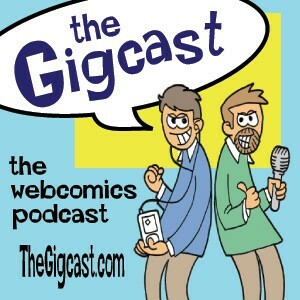 JT and Scott Talk Webcomics. Shallow Thought form Christiana Ellis, TB-BA Spotlight from Brian Anderson. We are joined by Kevin Hayman of Errant Apprentice. The Washington Post has an interview with Darrin Bell, the creator of Candorville. Tony Piro, creator of Calamities of Nature has a great tutorial called Flatting Your Comic. Instructables is starting a series of how-to posts on webcomics. Here is the first one about scanning, cleaning adn publishing line art. Also, if you haven’t heard about Webcomics Collage, check it out! Fleen has a good review of some interesting and candid posts about Zuda contracts. NY Comic Con has made the arts section of Staten Island’s own silive.com. We the Robots joins Pibgorn in the New Uclick webcomics lineup for iPhone, iPod Touch and whatever other buzzwords they can throw in there. Congratulations to Chris Harding and Scott Meyer! The Beat has a nice post about ADSDAQ and new ad services offered by Joey manley and ComicSpace. A comic contest from Saad Akhtar, creator of Fly, You Fools! This is a test if you want gigcast 172 go back a post. This has only been a test. Now enjoy some festive Holiday ukulele music. If things seem out of place it’s because we moved servers this weekend. JT and Scott Talk Webcomics. Shallow Thought from Christiana Ellis, TB-BA Spotlight from Brian Anderson. 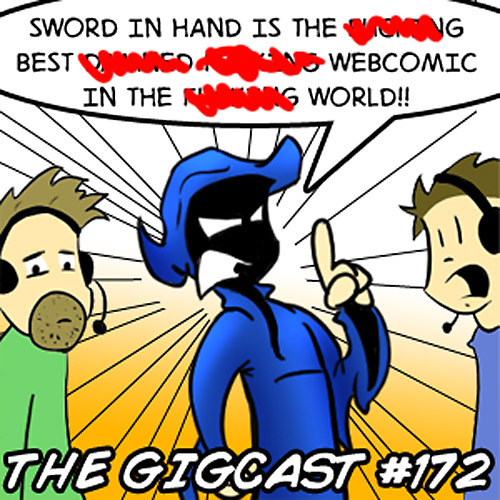 We talk with Hunter, aka Zim, from Sword in Hand, and JT and Scott talk about what’s up at NightGig Studios, and the wonderfull world of webcomics. Shallow Thoughts from Christiana Ellis. Twyla Tharp on motivation, creativity and the usefulness of failure. Great advice for all creative fields. Check out new webcomic rating site IsItFunnyToday.com. InkBlot 1.0, the latest webcomic wordpress plugin. The Floating Lightbulb has a post about making your comic archive search friendly. Algeya has an article on Webcomics.com about creating backgrounds. Fleen talks about the purge of webcomics from ADSDAQ. Take a look at the comments section where people layout who has been dropped and the excuses taht ADSDAQ has given them. The Beat has a nice piece about making money in comics. Palace In The Sky Webcomic News has an interview with Brian Brock of Reaper 7. Congrats to the Webcomic Beacon on reaching one year! Bomb Shelter Webcomic Idol winner is Simulated Comic Product. Congratulations!